Customer Company Name: Dongguan Bomei Electronic Material Co., Ltd.
1. Customer information: Dongguan Bomei Electronic Materials Co., Ltd. is a company specializing in electronic materials. The main customers are some customers who do circuit boards because their circuit board customers do not respond well to their defoamers. They also did not solve the problem, so they found the China Federation. 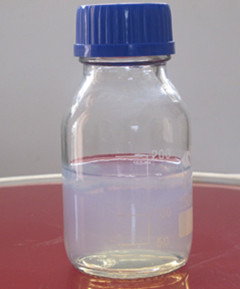 The engineers recommended b-20 defoamer to them and finally achieved the desired effect after the trial. With the continuous development of the printed circuit board industry, more and more layers are being manufactured, the lines are getting thinner and denser, the spacing between lines is getting smaller and smaller, the problem of bridging is becoming more and more prominent, and the printed circuit is manufactured. No bridge is formed between the board lines to improve the quality of the printed circuit board; in the process of developing and removing the unexposed dry film, the circuit board (PCB) is removed by development to remove the unexposed dry film. Dry film photosensitive insulation resin, developer is O.9%~3.00% sodium carbonate solution or sodium carbonate solution. Due to the continuous dissolution of the dry film, the developer will produce foam during the system's cyclical showering process. Defoamers designed specifically for printed circuit board manufacturing can overcome the hazards that they cause. The defoamers developed by China Federal Antifoam Agents are: Silicone polyether defoamers and Silicon-free defoamers. Due to the special nature of the manufacturing process of the printed board, its requirements for defoamers are more stringent. In addition to the requirement for excellent defoaming and foam suppression capabilities, it is also required that the defoamer does not have any residue on the printed board, and that the Is effective under sexual conditions.